Jeredith Jones is the senior attorney at Jeredith Jones, Attorney at Law and has been practicing law since 2008 exclusively in Montgomery County, Texas. Her focus is Family Law, Divorces, Child Custody and all manner of Criminal Defense representation. She has significant experience in trial before juries, trials before judges, child abuse, spousal abuse, custody, drug use, division of the marital estate, adoption, step-parent adoption, DWI representation, misdemeanor representation, and felony representation. 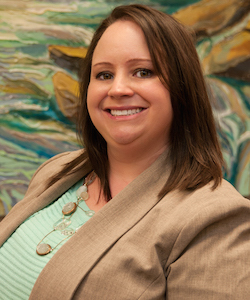 With a diverse background as a Child Abuse Investigator with the Waco Child Protective Services, Jeredith Jones brings a unique perspective and extensive experience to each of her client’s cases. At CPS, Jeredith Jones was a tenacious and creative investigator, assuring she could find the best possible evidence for and against parents to assure the correct outcome in her cases. At CPS, Jeredith worked one on one with individuals in crisis, creating outcomes for children and families facing abuse, drug addiction, domestic violence, and broken homes. She now applies the principles and knowledge gained in these delicate matters to her criminal and family clients. Ms. Jones approaches her client's cases with compassion, understanding and a direct assessment of both the benefits and pitfalls of litigation. In addition, Jeredith recognizes the needs of her clients and works with them on a personal level while working through the case at hand and addressing their legal problems. The team at Jeredith Jones truly cares about their clients and the outcomes of her client’s cases. In 2009, Jeredith Jones began working as an Assistant District Attorney for the District Attorney of Montgomery County and garnered from that experience a strong trial persona and excellent abilities in the court room that go beyond representation before the judge to include negotiation skills when working with the District Attorney’s Office, assessing the strength of the state’s evidence, and independent investigative skills. In 2012, Jeredith Jones, Attorney at Law began practicing criminal defense and family law and in this career she found her true passion. In advocating for individual clients, Jeredith Jones excels at tailoring her representation to assist her clients through their legal problems with compassion and understanding while assuring aggressive courtroom representation. She has often said that as a defense and family attorney, she can truly make a difference in the course of a person’s life. Jeredith Jones utilizes her diverse understanding of the law, the criminal and family law courts, personality disorders, mood disorders, drug addiction, family dynamics and abuse to assure the best representation possible. Ms. Jones has worked directly with Foster parents and caregivers for children for over a decade, not only addressing the unique legal needs of this group but the emotional stresses that come with children placed in these situations. She has learned from the diverse families she has worked with that each person has a different perspective and different needs. Jeredith Jones works diligently to assure each client receives individual representation tailored to their concerns and unique situations. Jeredith Jones has tried at least twenty criminal jury trials both felony and misdemeanor type offenses. Almost every week, she represents clients in family court hearings and Criminal hearings before local County and District Judges. In addition, Jeredith Jones represents clients at least monthly in mediations and informal negotiations in family and in criminal cases. Although aggressive trial positioning may not be what your case needs, Ms. Jones will fight in court for your rights. She graduated with a Bachelor of Arts in Criminal Justice from the University of Wyoming in May of 2001 and a Juris Doctorate from St Mary's University School of Law in San Antonio, Texas in May of 2008. She is a member of the State Bar of Texas, the Montgomery County Criminal Defense Bar, was voted to serve as a board member for the Montgomery County Criminal Defense Bar, and was voted the 2016-2017 Treasurer for the Defense Bar. In addition, she is a member of the Montgomery County Association of Business Women, The Woodlands Chamber of Commerce, and Tree of Life Lutheran Church. Please call Jeredith Jones, Attorney at Law for a consultation regarding your case.